Singapore, 26th March 2018 – Blockchain technology has become one of the most talked about and disruptive technologies of the last decade, leading to a surge in permissionless innovation and increased R&D in all other revolutionary use-cases the distributed ledger technology can offer to businesses at a global level. Allowing for unprecedented possibilities in making critical business processes more secure, transparent and efficient, the Request Network Foundation has formed a partnership with the PwC France and Francophone Africa Blockchain Lab. This partnership will shape and collectively develop the future of professional services, taking a leading role in offering solutions to clients’ needs of onboarding blockchain to their business practices. 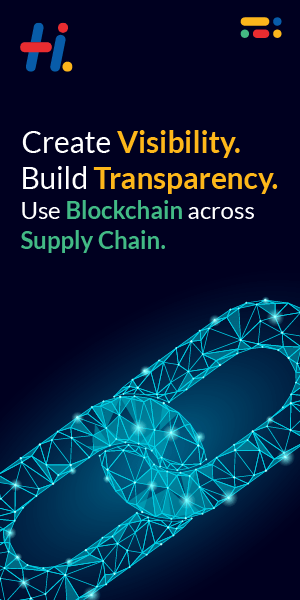 As one of the Big Four professional services networks, it is experiencing a surge in demand for blockchain transformation. This partnership will serve as a centre of excellence, accelerating R&D and increasing adoption of real world financial blockchain solutions. Having shared interests and advanced knowledge in blockchain development, both teams work closely together to enable clients to be at the forefront of the blockchain revolution. “We are glad to form a partnership with the PwC France Blockchain Lab, creating a bridge between the corporate and blockchain industries. This partnership facilitates industries to innovate and adopt financial solutions using blockchain technology.” – Christophe Lassuyt, Co-Founder, Request Network Foundation. “Combining our cutting edge blockchain technology with the experience of a trusted business partner offers corporations the best of both worlds, allowing a smooth business transformation.” – Etienne Tatur, Co-Founder, Request Network Foundation. A thought leadership group, consisting of members from both PwC France and Francophone Africa and the Request Network Foundation, will bring in-depth blockchain expertise to clients. The group will envision and shape the future of professional services, by sharing their respective research and development. The Request Network Foundation promotes the adoption of Blockchain by providing a framework which allows everyone to develop their own financial solutions based on this technology. The Foundation creates and sustains an ecosystem of builders, the so called “Request Network Hub”, that empowers everyone to disrupt the way we do business tomorrow. Please see https://request.network for further details. PwC France and Francophone Africa has brought together a multidisciplinary team of nearly 25 experts in its Paris office. The Blockchain Lab now combines teams specialized in Cybersecurity and Big Data, lawyers, auditors, consultants and specialists in data science, risk and quantitative finance. PwC develops innovative blockchain solutions for its clients: identification and analysis of strategic potential, target design, blockchain implementation and security, knowledge and skills development. PwC is developing its advisory, audit and accounting engagements in France and French-speaking Africa by leveraging an industry-specific approach. In 2017, for the second year in a row, PwC won the Audit Innovation of the Year award for its commitment to leveraging technological innovation to improve audit quality and added value for clients.